More than just glass cleaning: Our process includes the glass, frames, sills, screens & tracks. Mobile service, ultrasonic cleaning and more; solutions for all window coverings. Gutters and downspouts professionally cleaned and flushed. Perfect for dirt and cobweb removal; safe for plants, pets and children. Avoid screen replacement with our re-screen and frame repair services. Restore windows damaged by hard water from sprinklers and hoses so they look like new. Protect your investment by preventing future hard water damage to your windows. 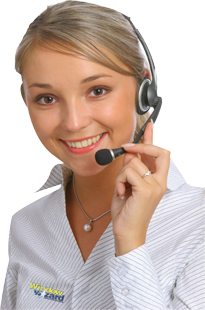 Hundreds of businesses trust Window Wizard for consistent, reliable service. My technician was very helpful with the window screens and the correct way to secure them. He also did a good job in cleaning the windows. I sound like a broken record - but what can I say -- Great job as usual! I am continually impressed with the quality of young men you hire. These young people represent your company very well. Always a pleasure to do business with a company who honors their long time customers! My wife and I are always pleased with the efficiency and quality of work of your technicians. The check mark (definitely recommend) is meant sincerely. My technicians were personable and did a great job! Always glad to have Window Wizard techs in my home. Great work, great people. Thank you! I am so thrilled with the service you provided! My house has never looked so wonderful. It was worth every penny. The technicians were very kind and professional and I could not have asked for a better crew. You guys have the best customer service of anyone I have ever worked with!! Very Polite. Awesome work. My blinds shine. I love this service. My blinds are nearly 30 years old and look brand new! ©2019 Window Wizard, Inc. All Rights Reserved. Designed By Yoursolution.NET, Inc.